A gift for Marecleve (Laurcleve's mom). Marecleve (Laurcleve's mom) asked me to do some half wall recolours, as I was doing them I thought there must be a quicker and easier way to change the look of the half walls in game...so I found one. A overlay to quickly change the top rail colour of the Perfectly Plank Half Wall, One Complete Diner Enclosure and the Brass n' Glass Half Wall. Comes in straight and diagonal. 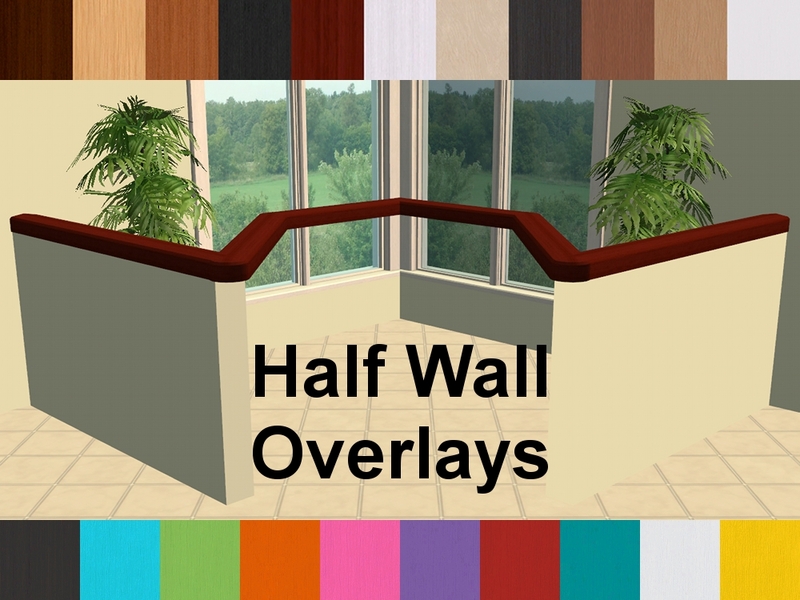 Mesh comes in AL Wood and MALM colours, I have also included LACK colours in a separate zip file. Cloned From: Corner "Sentinel" End Table. Subsets: 1 recolourable. Poly Count: 150. I have included 2 options of the MESHES, however, you can only have 1 option in your game, as they have the same GUILD. LACK recolours work with both options. Found: Build Mode > Architecture. Price: §0. These are base game compatible, no EP's or SP's required! However they are useless without at least Nightlife, as that is when half walls come into the Sims 2 game. 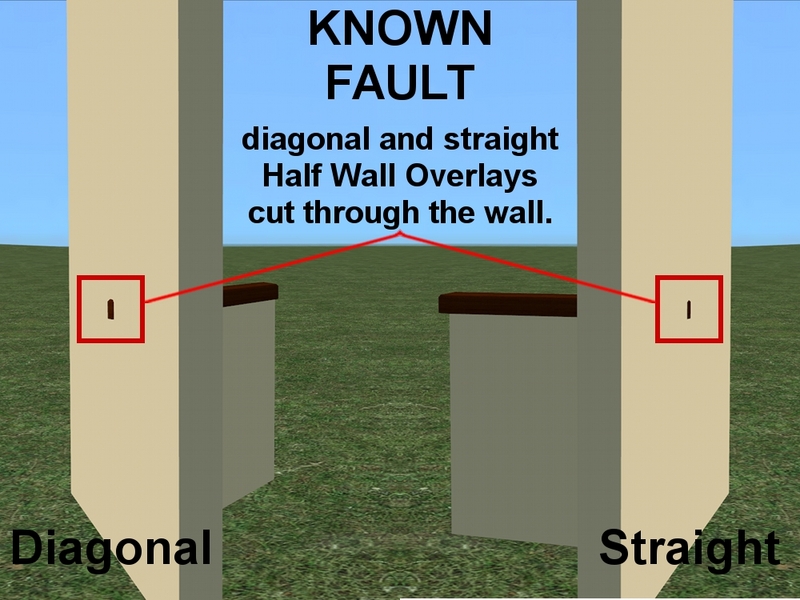 Known Fault: These overlays are not perfect the ends show through the wall, on both the straight and diagonal overlays. I was unable to find a way around that, sorry. Custom Content used in my screenshots: Surfaco Kitchen Counter Recolours and "Olive Drab" Floor, made by me several years ago just for my screenshots, not available.